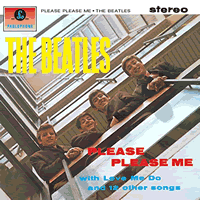 Love Me Do was the first single released by the Beatles from the album, Please Please Me . 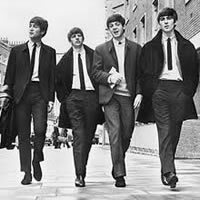 The song was first written by Paul McCartney in 1958-1959 while still at school - age 16. 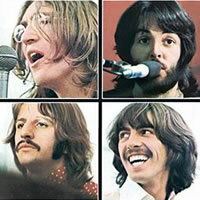 The middle eight or Bridge was later added by John Lennon with the song credited to Lennon-McCartney. The song was recorded at EMI Studios, London from June -September, 1962 and the single released Oct 5, 1962 in the UK and April 27, 1964 in the US. Music: G Major in 4/4 time at ~ 146 bpm. Please Note: You can replace G with G7. If you are playing on your own, G sounds more resolved... the choice is yours. 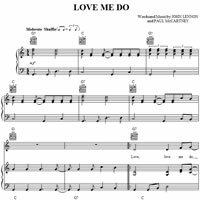 "Love Me Do" chords and lyrics are provided for educational purposes and personal use only.